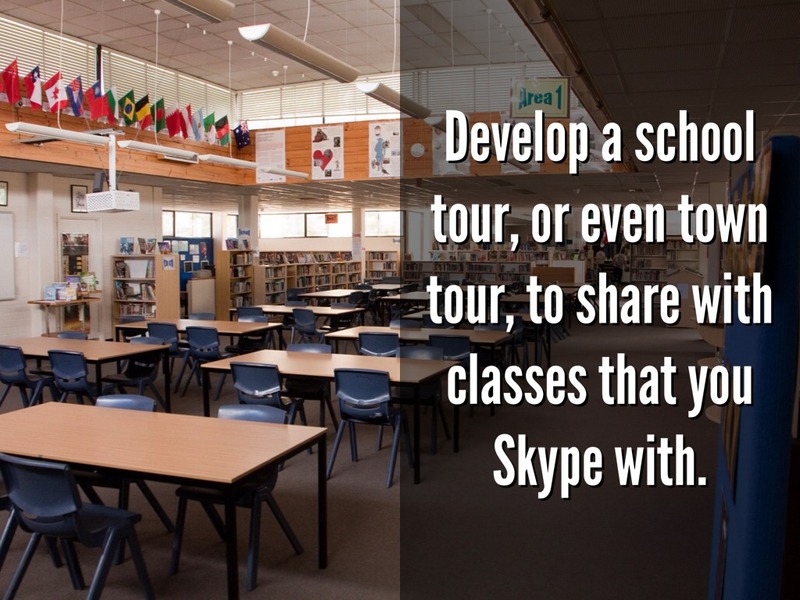 Develop a school tour, or even town tour, to share with classes that you Skype with. 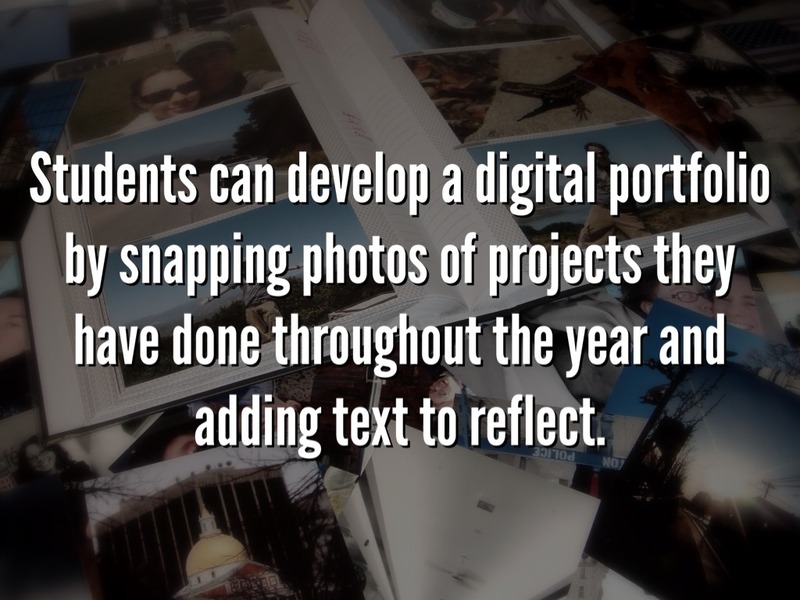 Students can develop a digital portfolio by snapping photos of projects they have done throughout the year and adding text to reflect. 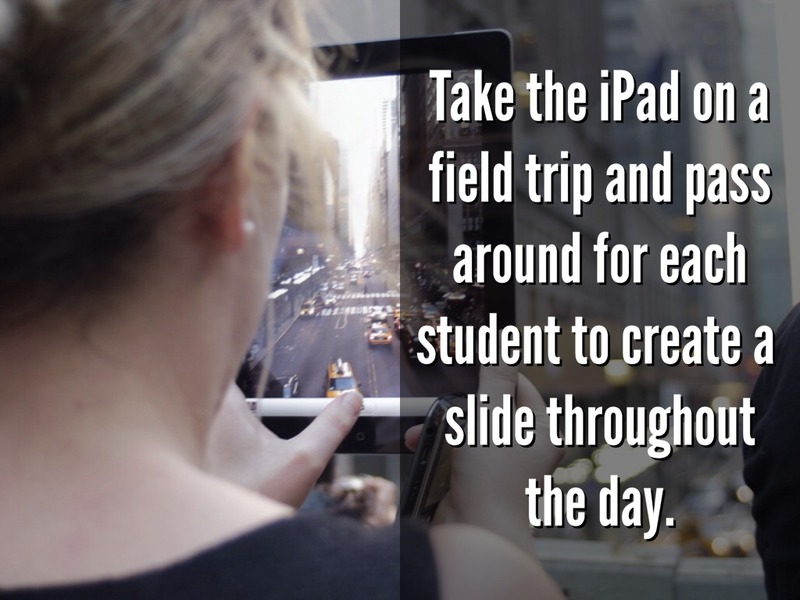 Take the iPad on a field trip and pass around for each student to create a slide throughout the day. 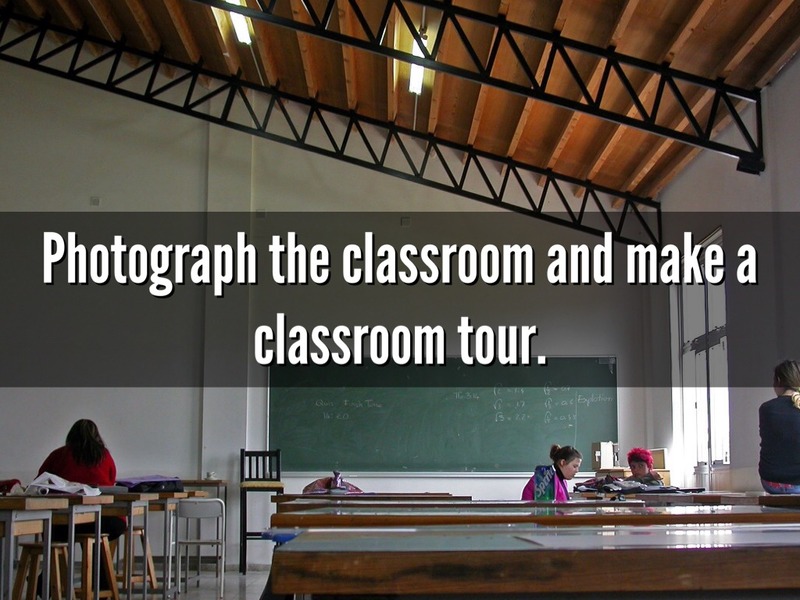 Photograph the classroom and make a classroom tour. 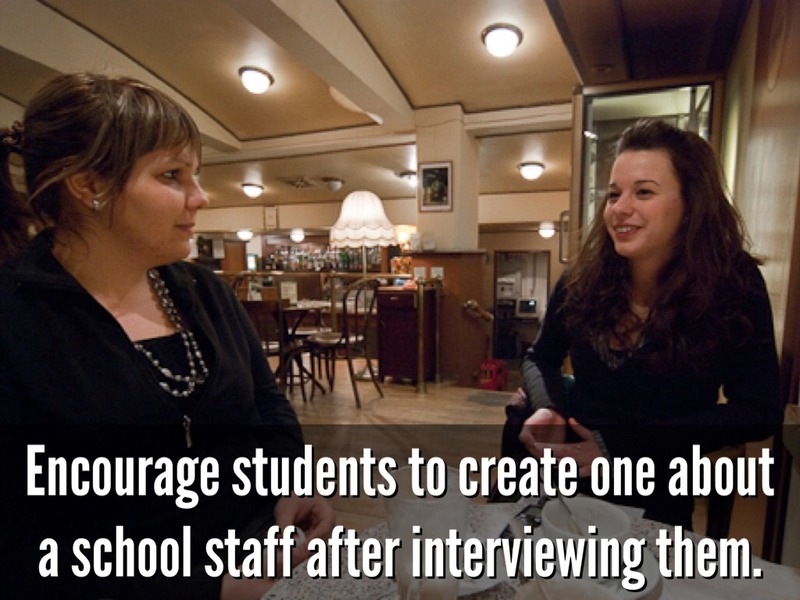 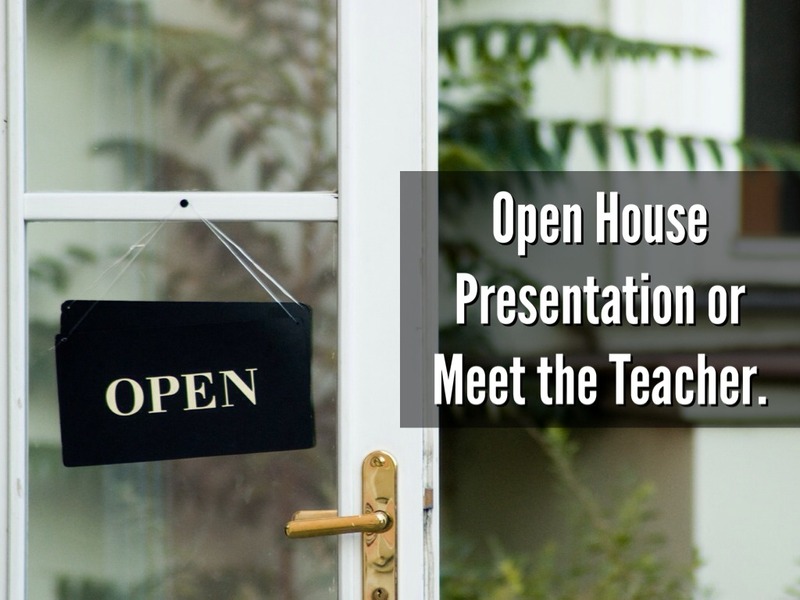 Encourage students to create one about a school staff after interviewing them. 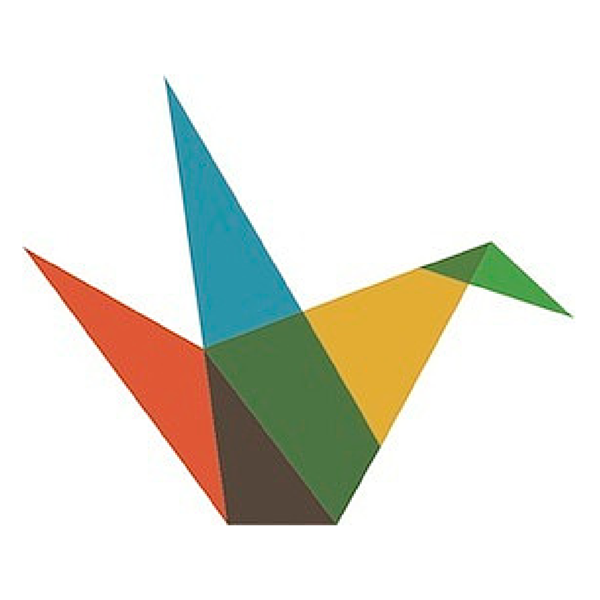 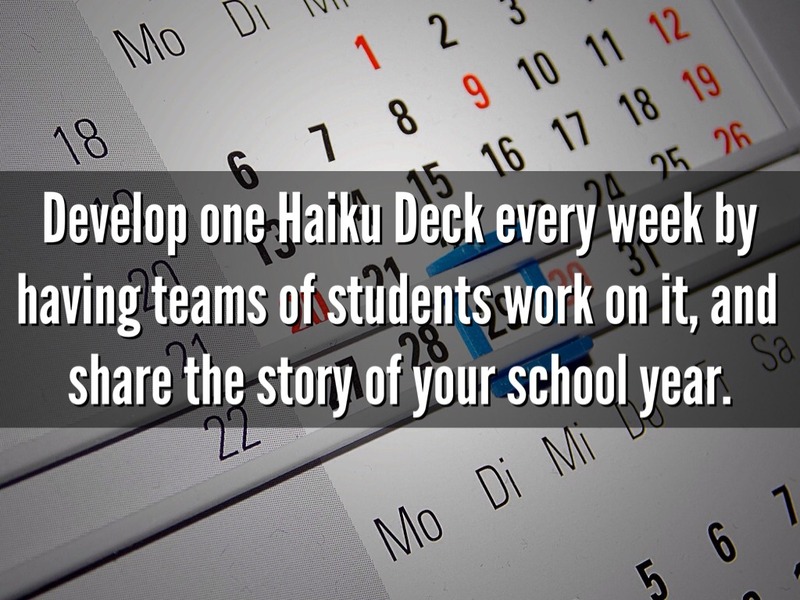 Develop one Haiku Deck every week by having teams of students work on it, and share the story of your school year. 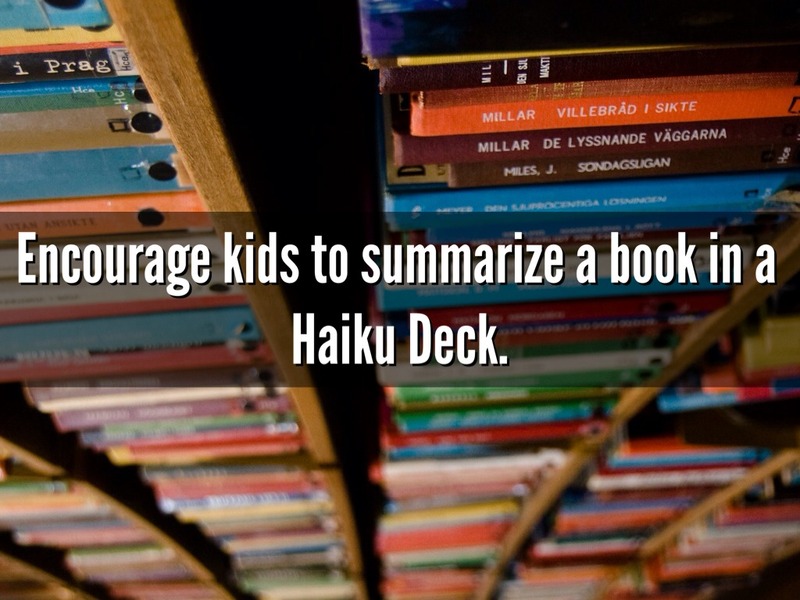 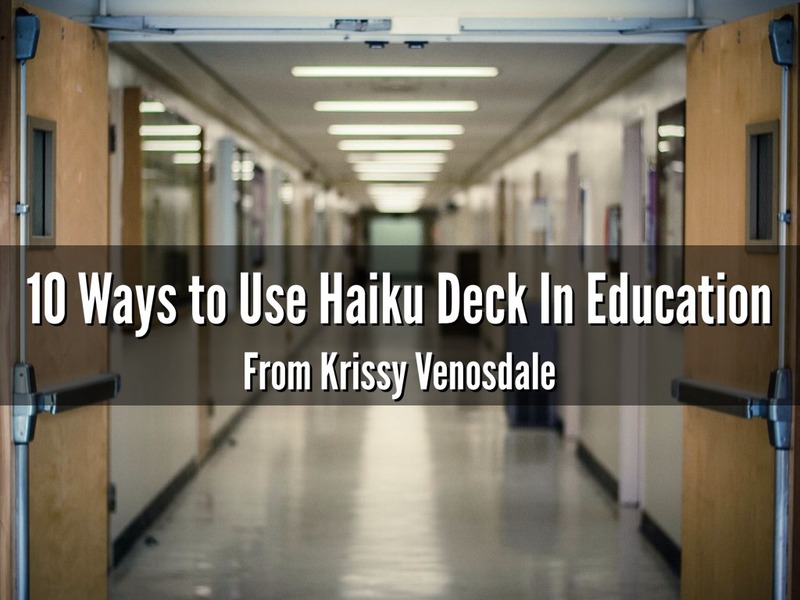 Encourage kids to summarize a book in a Haiku Deck. 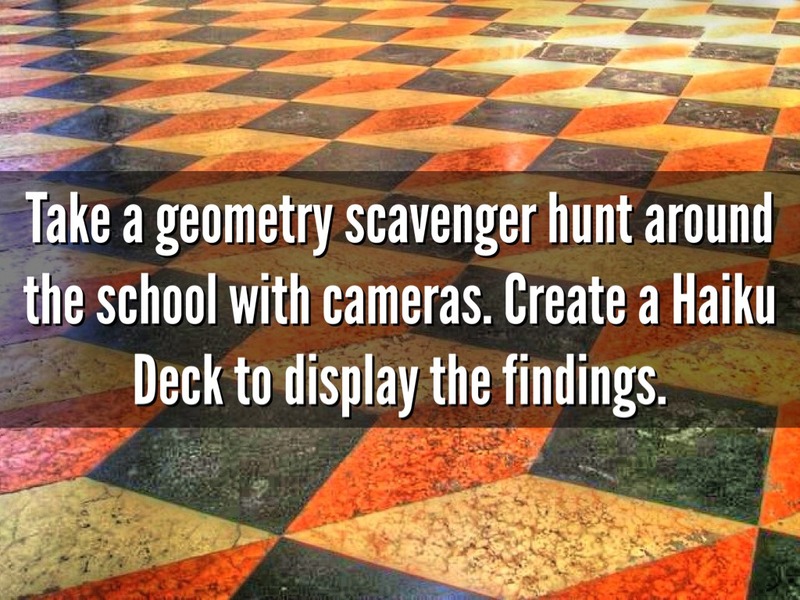 Take a geometry scavenger hunt around the school with cameras. 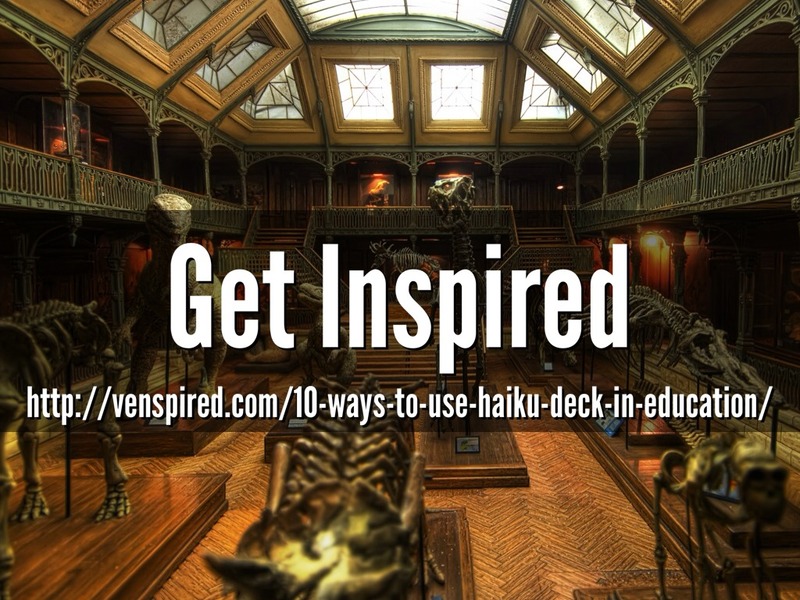 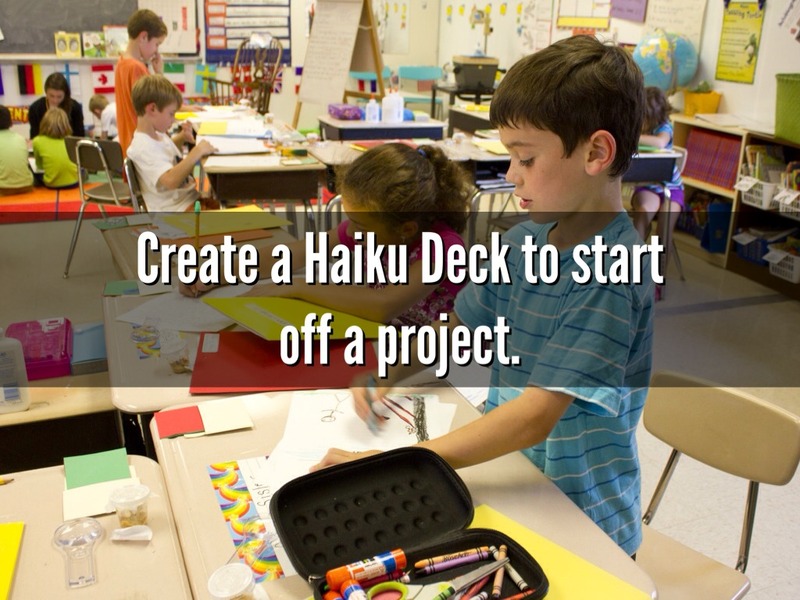 Create a Haiku Deck to display the findings.